Tiger Woods on Wednesday blamed his dismal Ryder Cup form on tiredness, citing a lack of physical preparation after a demanding comeback from injury. Woods lost all four of his Ryder Cup matches in Paris last month as the United States were crushed 17.5 to 10.5 by a rampant Europe. The 14-time major winner had forced his way back into the American playing ranks after a strong comeback season which included an emotional victory at the Tour Championship in Atlanta on September 23. However the 42-year-old believes the physical toll of his first full season back on the PGA Tour after missing virtually all of the previous two years finally caught up with him. 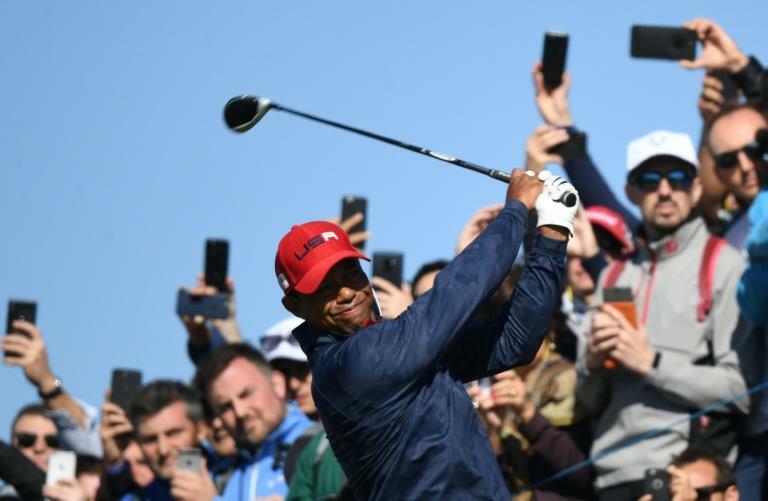 "It was just a cumulative effect of the entire season," Woods said on the sidelines of the Tiger Woods Invitational in California, an amateur event that benefits his charitable foundation. "I was tired because I hadn't trained for it. I hadn't trained this entire comeback to play this much golf, and on top of that, deal with the heat and the fatigue and the loss of weight." Woods had cited his poor performances at Le Golf National, outside Paris as one of the key reasons for the US defeat. Woods has often struggled to produce his best form during the Ryder Cup, recording only 13 wins against 21 losses and three halves during his career.